Fruits & Passion Canada is celebrating Women’s Day with an online deal where you save 25% off sitewide! 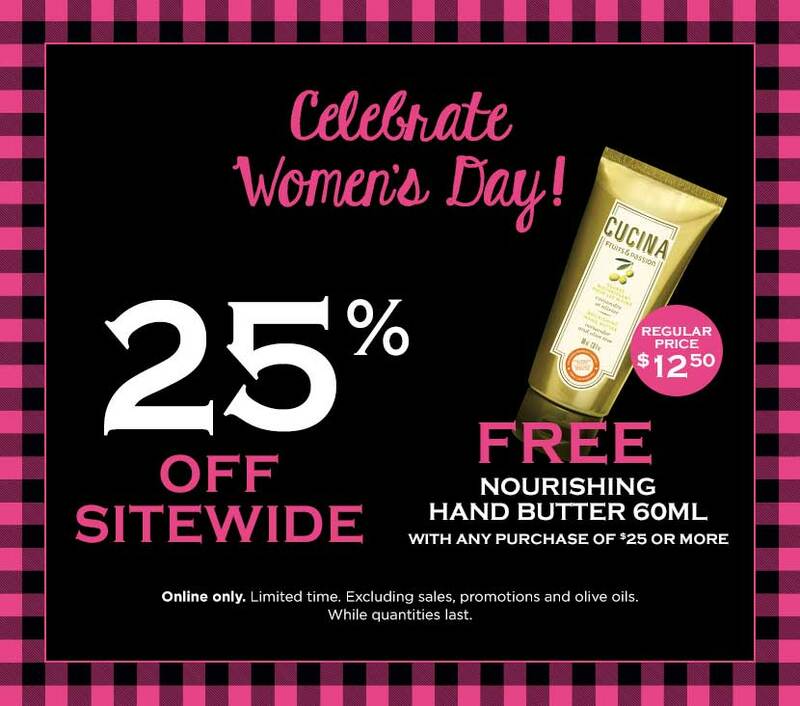 Also, get a FREE nourishing hand butter (regularly priced at $12.50) with any purchase of $25 or more. This Women’s Day sale is valid for a limited time and excludes sales.